Demineralization & Ultrapure Water Treatment: Equipment, Systems, Technologies, etc. Is hardness hurting your facility’s productivity? Removing hardness and dissolved solids from a facility’s feed and process water can drastically improve the overall success of its day-to-day processes. Hardness and dissolved solids can wreak havoc on a facility’s equipment, and softening is often not enough treatment for most high-pressure boilers and process streams (especially for the microelectronics and electronics industries). SAMCO has the resources and cutting-edge technology to help your facility remove hardness and dissolved solids from your water streams, meet your ultrapure water requirements, and improve the efficiency and quality of your process. 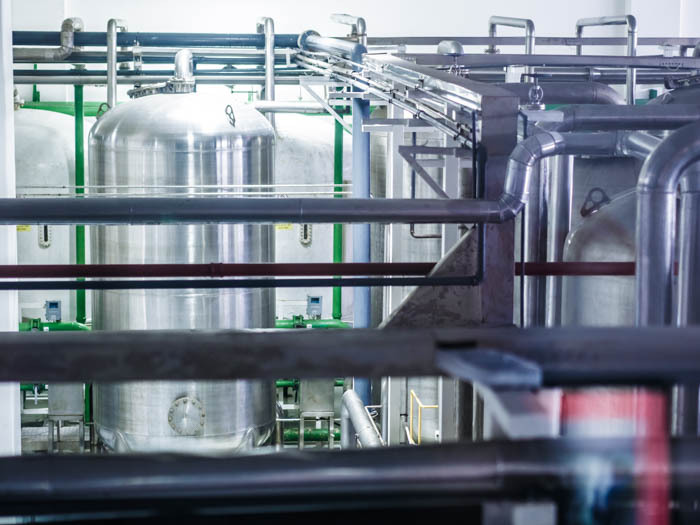 Whether your company needs ultrapure water for your boiler system, bottling facility, chemical testing lab, microelectronics plant, or any other process that requires superior water purity, contact SAMCO to see if we can help you plan an integrated, custom-engineered solution. How do we improve our boiler feedwater quality? What is the most efficient way to improve the overall quality and purity of our process water? Our company is bottling beverages, and we have solids in the water. How do we remove them economically? How can we source ultrapure water for our chemical testing lab? Our plant is seeing spotting in our plating operation. How can we improve the quality of our process water? What is the best way to treat our process water for maximum resistivity? Our current purified pharmaceutical water isn’t meeting USP standards. How can we fix it? How can we lower the total dissolved solids (TSS) in our water and improve the results of our current filtration system? What is the most economical way to improve our water purification system so we can meet the metal requirements for our semiconductor manufacturing?